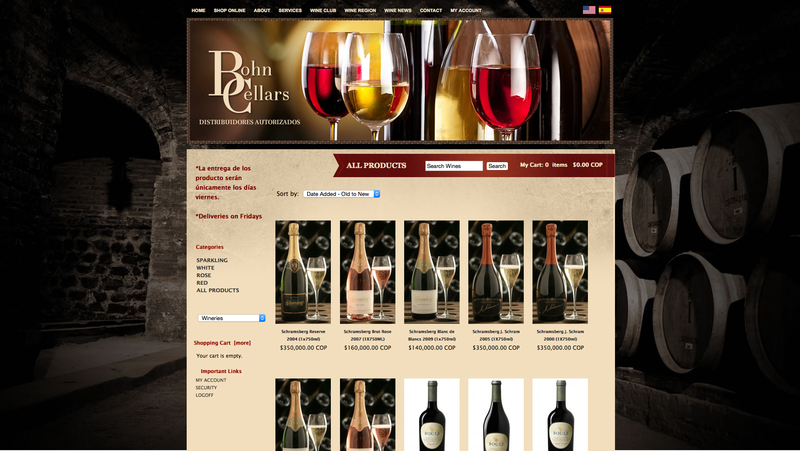 Bohn Cellars was a Colombian-American company specializing in the selection, exportation and distribution of premium Californian wines to the Colombian market. The website was developed for both English and Spanish speaking users and featured online store, blog and details from the wineries and vineyards. The Spanish and English shopping carts we’re built with Zen Cart and customized to match the main WordPress website. Both platforms we’re seamlessly integrated so the shopper could navigate effortlessly from the corporate information, the shopping cart pages & the blog.